From the initial announcement of our Facebook Prize give away, it took less than a week for us to reach the first target of 2000 likes, so well done everyone. 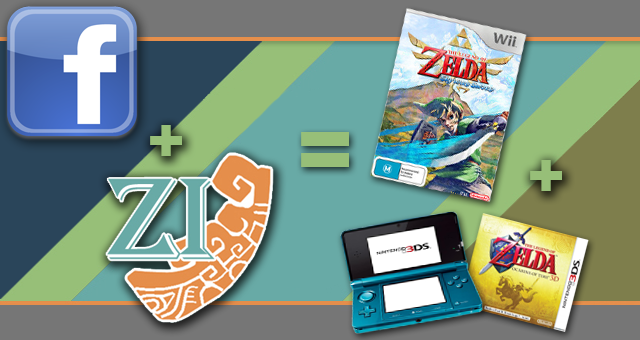 Another week has now passed, which means that it’s time for us to announce the winner of a copy of Skyward Sword. It will be shipped to the winner’s door, in their regional version soon after its release. If it comes with a Wii Remote Plus, or with any other packaged items in the standard version, one lucky person will receive all of that free from us! The chances of winning the draw were about 1 in 450. I think I’ve done enough of a build up now. So a really big congratulations to you Jasmine. There’ll be no need for you to fork out the cash for the newest Zelda adventure when it arrives, although I am sure it will be worth it! Now we did say that the winner would have a week to claim their prize, otherwise it would be redrawn. All you need to do to claim your prize is to either comment on this post using your Facebook account, or to post on our wall on Facebook. We’ll get in contact with you from there to organize where to send it. Everyone else can stayed tuned for our next Facebook give away, which will be a bundled Nintendo 3DS with a copy of Ocarina of Time 3D, when we reach 5000 fans. We’ll launch that officially soon, but in the meantime, continue to invite your friends and spread the word. By the way Jasmine, you unfortunately can’t win twice. Congratulations again and we hope you enjoy your prize.